I remember these words coming out of my mouth on nearly a daily basis. My husband and I have been on a super tight budget for years. We have always had just enough to pay our bills and purchase exactly what was necessary. We always thought it would be nice to have just a little extra money in our pockets for a little bit of breathing room. During this time, I felt like I really needed to stay at home with my children and do what I could to figure out how to work from home. 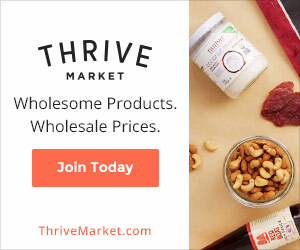 There is a way to STOCK UP ON THIEVES and get started with a Young Living membership all at the same time? If you haven’t already read Part 1 of “Getting Started with Essential Oils: The Basics”, make sure you CLICK HERE. Each part of this series builds on the previous post, so you won’t want to miss any of them! Why not get started with essential oils? They will change your life. My family loves popsicles in the summer time! You might have read my recent post on 5 Foods to Ditch if you Struggle with Anxiety and Depression. Foods really can either hurt or heal, the right diet can also help you to get a better handle on stress in your life and help you cope with stress better.